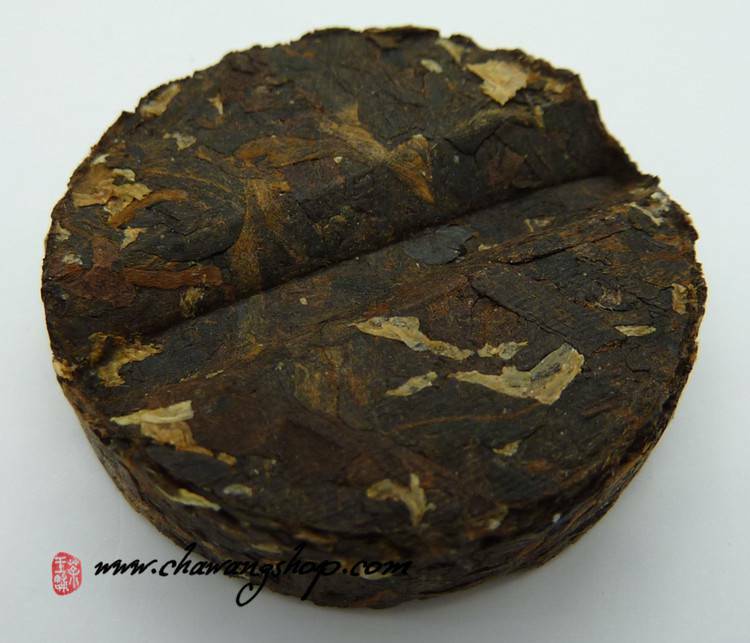 Very nice looking mini cake which is made of Menghai unbroken sun-dried and moderately fermented large leaves material mixed with white chrysanthemum flowers.Loosely pressed leaves would be easier to extract the flavor. Deep red liquor. 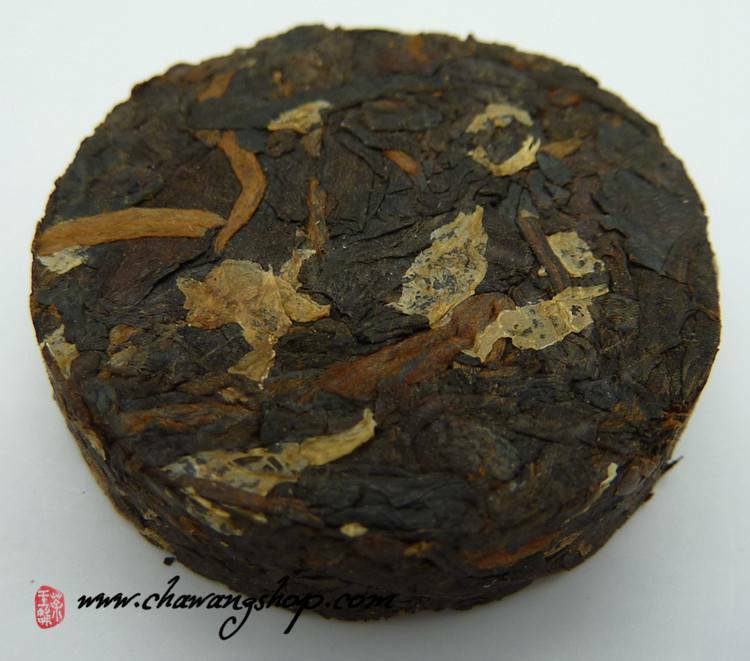 Sweet and smooth with herbal flavor. 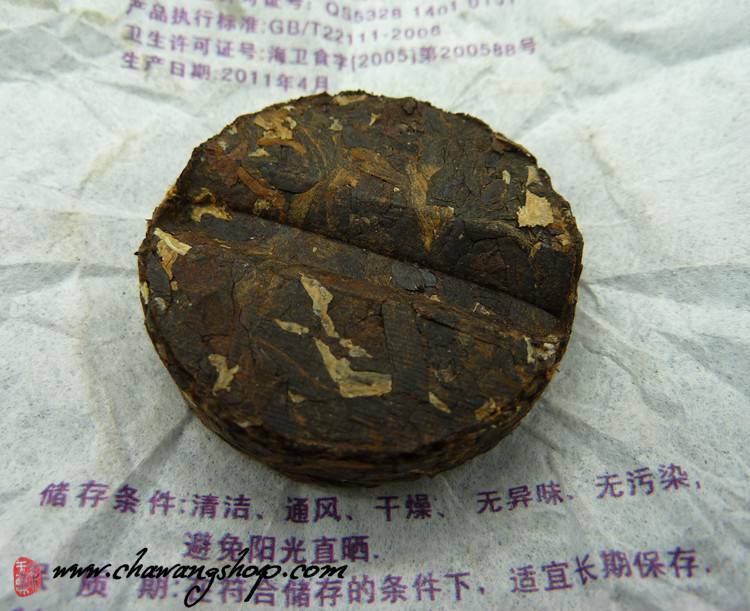 The lasting taste in the mouth is smooth and pleasant.